Located midway between the conurbations of Manchester and Leeds and situated close to the northern edge of the Derbyshire Peak District, near to the Pennine Way, Marsden is an ideal walking location. 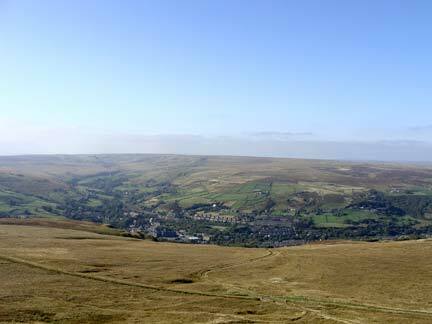 With over 60 miles of public footpaths available over a wide variety of terrain ranging from ancient tracks and lanes, canal towpaths and reservoirs to open rugged moorland offering fantastic views of the upper Colne Valley and beyond there’s something to suite all tastes, interests and abilities. 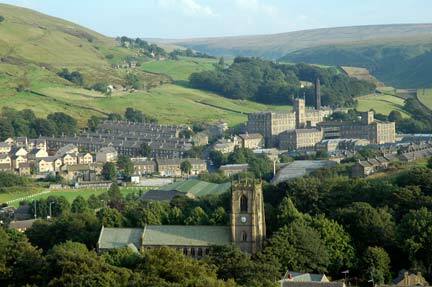 With a history of human activity dating back to the Mesolithic Stone Age, Roman times and through to the Industrial age of the 18th, 19th and early 20th Century, Marsden and the surrounding area is a rich tapestry of aging farmsteads, stone buildings and colourful traditions. The village centre is a vibrant place offering a broad selection of pubs, restaurants and cafes to refuel or relax after a walk and a wide range of unique and interesting shops to browse, pick up an essential item or perhaps purchase a gift or memento of your visit. Accommodation is widely available to suite all tastes and budgets including Country Hotels, Holiday Cottages, Bed and Breakfasts and Campsites either in the village centre, close to or in more remote locations in the surrounding areas. Marsden Visitor Information, located within the Library and Information Centre at the Marsden Mechanics Hall on Peel Street offers help and information from Tuesday to Saturday on events, activities, accommodation and local walking routes including a Marsden centered OS map. Marsden Walkers are Welcome scheme aims to strengthen the towns reputation as a place for visitors to enjoy the countryside, nearby attractions and to have a positive effect on the local economy. With support from the Local Area Committee, Kirklees Public Rights of Way Unit, the South Pennines Leader Fund and the local community and businesses the scheme is dedicated to improving, preserving and maintaining its 114 public rights of way. Current plans are underway to establish and maintain a number of official way marked walks in the area with a printed guide map including an accessible route for wheelchairs and all terrain buggies as well as the implementation of an Adopt a Path Scheme and the installation of a dedicated display board. Or visit our website for up to date information on travel, accommodation, walks and forthcoming events.